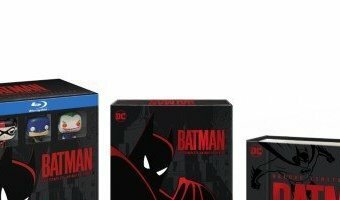 Batman: The Animated Series getting limited edition box set! 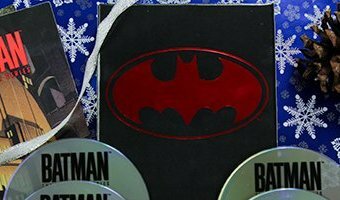 Growing up in the ’90s, Batman: The Animated Series was one of the most talked-about shows not only amongst younger viewers, but also comic book fans of all ages in the three years it ran on Fox Kids, and now fans can look forward to revisiting the series as Warner Bros. Home Entertainment has announced the release of a “Deluxe Limited Edition” box set, which will hit shelves October 16! Check out more details on the Batman: The Animated Series box set below! Premiering in September 1992, Batman: The Animated Series followed the titular hero as he dealt with the various criminals in Gotham City, everybody from his Rogues Gallery of villains to lesser-depicted antagonists including Roland Daggett, Clayface and Man-Bat. The series ran for 85 episodes and received rave reviews from critics and audiences alike for its more mature and adult storytelling, darker tone, musical score and voice cast, … [Read more...] about Batman: The Animated Series Box Set Blu-ray Collection Arrives in October!